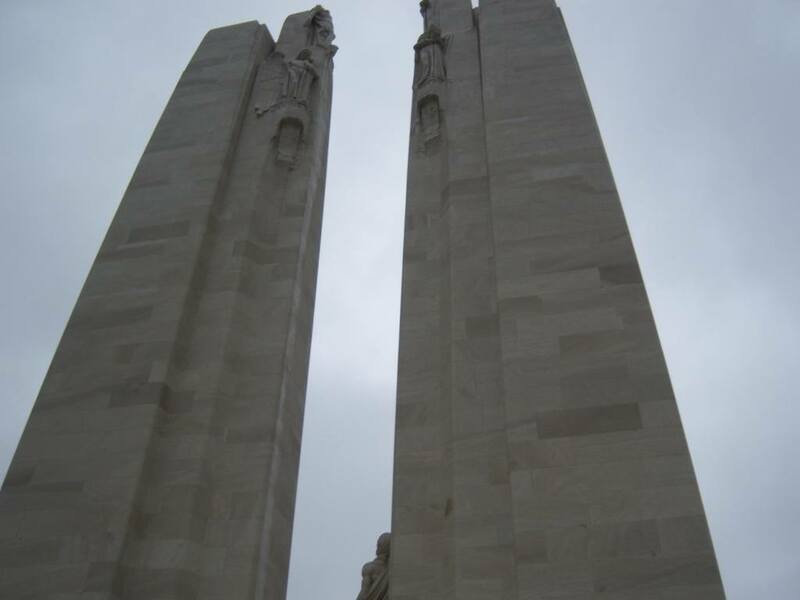 The following is a first-hand account of a visit to the city of Arras and Canadian war memorial at Vimy Ridge, set the day after Remembrance Day years ago. Follow along in a short but memorable adventure of history, sacrifice, nationalism, pouring rain, French culture, and burgeoning friendships. Few other places or symbols can capture Canada’s coming of age as a nation quite like the Vimy Ridge memorial. It’s not just a way to remember those who gave their lives in battle, but represents one of the first real Canadian operations as an independent country. Coming from the US, I didn’t really know what to expect – but the excitement and respect my classmates showed quickly rubbed off on me. 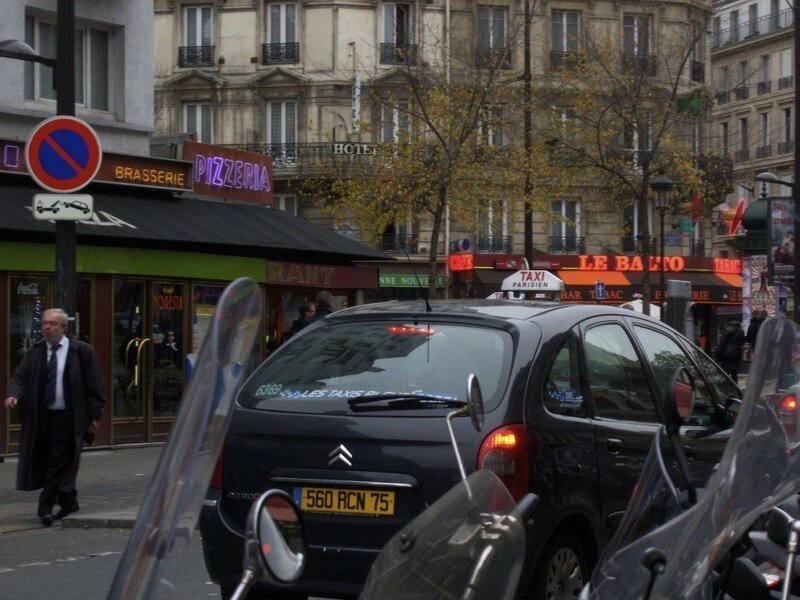 After a night of waiting, I finally arrived in Paris for the first time! Let’s get the set up out of the way first. We were in school in England, and had a free weekend directly after Remembrance Day. Now we had only been here a couple months, and no one really knew each other too well. To fix this, my roommate and I decided tag along with 5 others on a weekend getaway to Vimy and Paris. I had never been to France before, so it was a pretty easy decision to make. Unfortunately, this trip began the way most do – with a whole lot of waiting. In this case, it was the better part of a London night in the St. Pancras train station’s Costa Coffee. We wasted away for several hours, buying just enough stuff so they didn’t kick us out, until our very early train was ready to depart. For myself and my roommate, this meant an extra hour, as we weren’t able to grab the train with everyone else. At this point I’m assuming you want me to get to the action. So to keep a long story short, we took the Eurostar under the Chunnel (those words mean something) for slightly over 2 hours to get to Paris, saw some football (that’s soccer) stars, and took another relatively speedy train (less than an hour actually) to the northern city of Arras. It was cloudy, and relatively cool, but there we were. After rendezvousing with our fellow classmates, we decided not to waste anymore time and head directly for Vimy. Arras seemed nice enough, but this wasn’t the time to find out. We hopped in a taxi and about 15 minutes later, we had arrived at Vimy Ridge. After passing by the security (manned, of course, by Canadians), the first thing we noticed was the memorial itself. The two massive towers of stone are pretty conspicuous to say the least – and only grow more impressive the closer you get. As we walked around the memorial, we could see writing, dates, statues, and flowers – a stark reminder of the soldiers who fought and died in the Great War. If I’m honest though, it wasn’t the memorial that had the most impact, but the land that it overlooked. 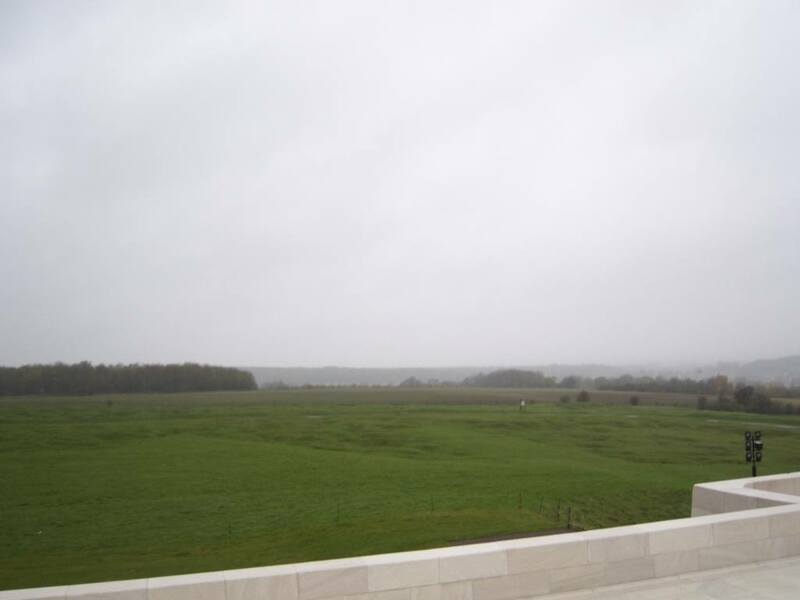 From the high ground, we looked out over fields and forests that had once been crawling with Canadian divisions. The fighting, the strategy, the sacrifice – all of it had been done to take the point on which we now stood. Regardless of the battles overall importance in the wider conflict, it was hard not to feel the impact simply from surveying the now peaceful countryside. While the memorial might have been a pensive experience, what we did next was quite interesting as well – in a different way. We made our way passed closed off fields (the possible home of explosives yet to…explode) and towards the preserved network of trenches. Arguably what the First World War is most associated with, the trenches served highly strategical purposes, but also as miserable homes for troops on both sides. Vimy was no different. While much of the park remains closed (that’ll be the explosives again), we were able to take a peek into a small part of the vast network of trenches and tunnels. Some of my friends and I had to duck in order to not smack our heads. Imagining how hard it must have been for the soldiers quickly waylaid any grumblings. Stepping back out under the sky, we found that what had been overcast had quickly turned into an absolute downpour. Taking shelter under an awning (relatively pointless, seeing as we were already soaked), we waited for our cabs to take us back to Arras. While most of the day had been travelling from one sight to the next, the unexpected downpour afforded us all a chance to talk. Not only had we seen what we came to see, we also made some closer friends – which believe me is just as important in first year university. So to answer a simple question, was it worth it? We rang in Remembrance Day (or the day after at least) with a visit to Canada’s most impressive foreign war memorial, sampled France and French culture for the first time (at least in my case), and made it to Paris the next day (barely). 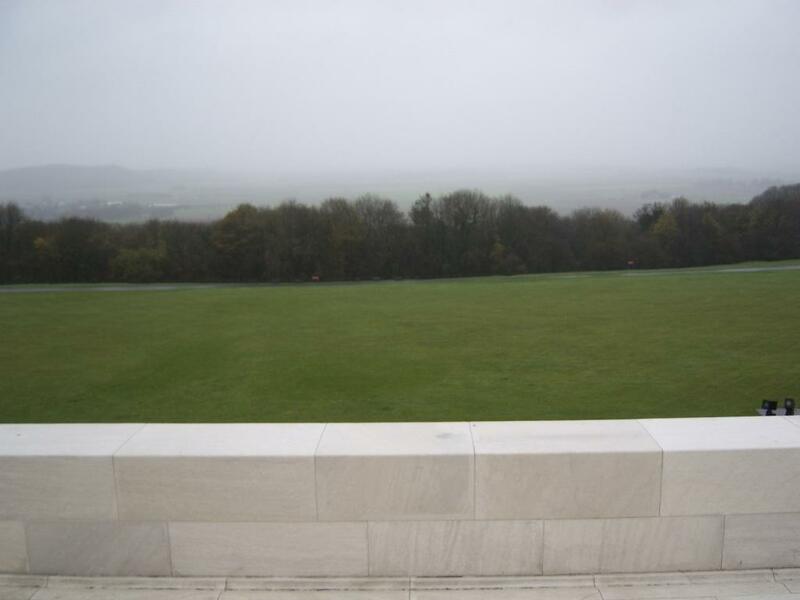 While the rain wouldn’t let up, Vimy served as a poignant way to start what would be a memorable weekend abroad! So yes, it was worth every second. 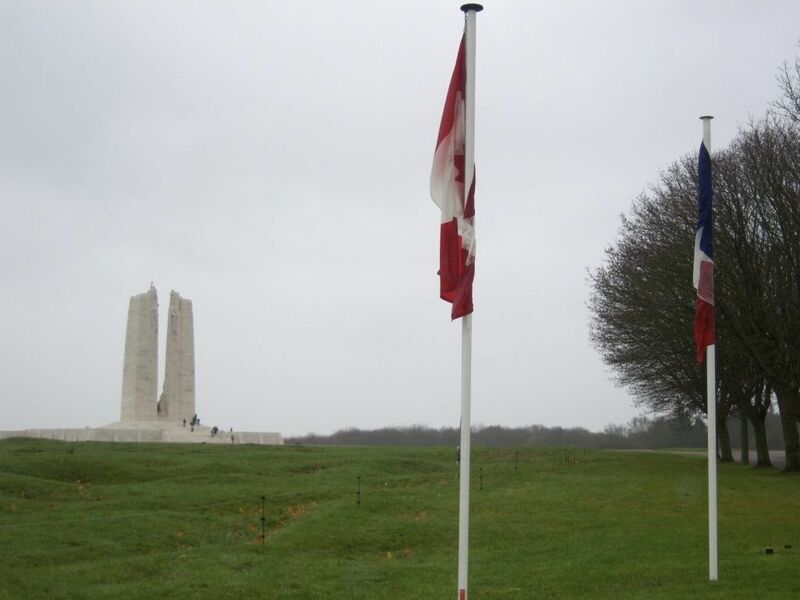 Learn more about the history of the Battle of Vimy Ridge as well as the memorial itself HERE. 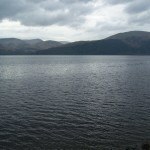 For a different type of journey, take a weeklong trek through Scotland with ‘Hiking in the Highlands’ (Part 1 | Part 2). 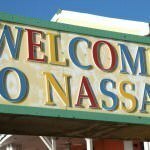 If you like reading about others suffering, we’ve also chronicled a mishap in the Bahamas for your pleasure.